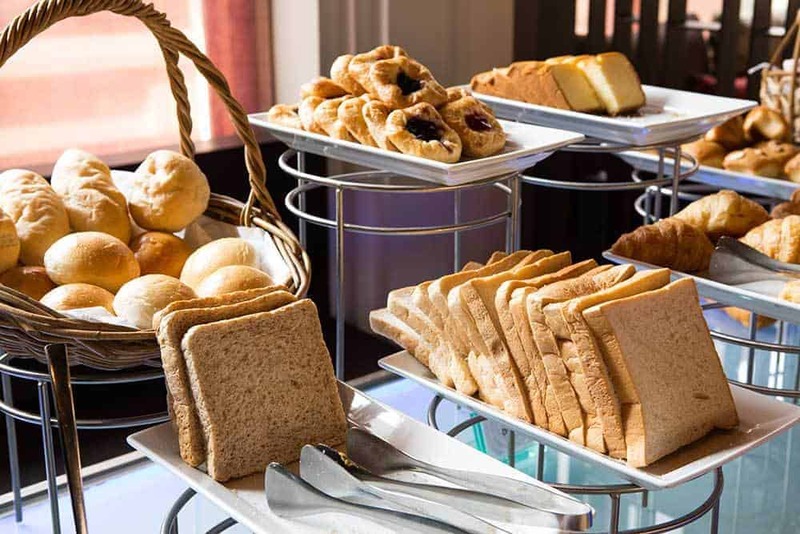 Whether you are travelling for business or pleasure, if you are staying at a hotel, you are bound to encounter the breakfast buffet. Although we have stayed at some fantastic hotels with breakfast spreads filled to the brim with a gorgeous array of fresh fruits, gourmet food and pastries, we have also stayed at the chain hotels with the microwave sausage. We love a good breakfast buffet because it allows us to get to our day quickly, avoids the need to find a breakfast spot and it’s cheap! Where else are you going to find a FREE breakfast? 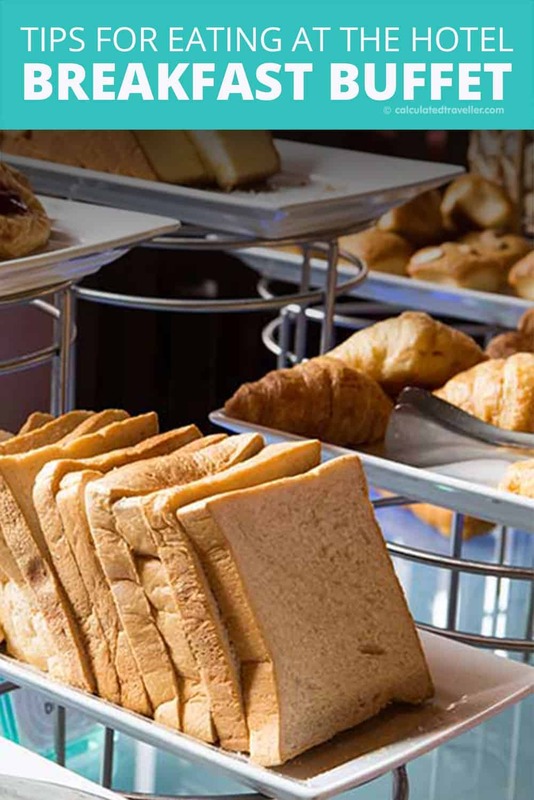 Not all hotel breakfast buffets are designed to get the best start to your day of exploring, but there are some ways that you can get a healthy and nutritious breakfast without having to go elsewhere. We love using the breakfast bar to fuel up for our adventures, and it is possible to get a great, healthy start to your day if you are cautious about which foods you choose. Tip 3. Hit the Omelet Bar! 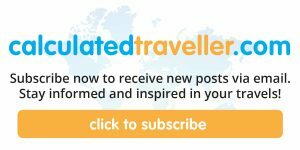 You will thank us for this tip! Avoid (or limit) the sausage and bacon at these buffets. They are filled with sodium and will make you incredibly thirsty. I don’t know about you, but when you are exploring a new city or on a road trip, the last thing you want to do is drink a ton of water. It leads to unnecessary bathroom trips and sometimes finding one is near impossible! It also dehydrates you, and if you are travelling somewhere hot, this is key. There is nothing worse than crashing from a sugar high on a long day of travelling, and that’s what you are setting yourself up for with grabbing the Fruit Loops! If you want to eat cereal for breakfast, try a healthier alternative such as Muesli, Cheerios or Shredded Wheat and make sure you pair it with protein like eggs to combat the dreaded sugar crash. If your hotel has an omelette station, this is your best bet. Eating an omelette rich in protein will get you off to the right start and will make you feel full for much longer. Many times after eating a big breakfast, you may not even feel hungry when lunch rolls around. Start your meal with a large bowl of fruit. It’s healthier than cereal, the fibre in the fruit will fill you up and, this may help you from overeating. BONUS TIP: Grab a piece of fruit for the road in case you need a healthy snack later in the day. If you don’t want to overeat, studies show that the further you sit from the all-you-can-eat buffet, the better your chances for not overindulging. So sit as far away from the food table as you possibly can. 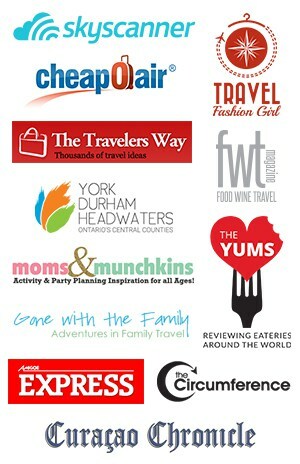 There is no way you want to be overstuffed when you go for a hike or walk miles around a city. 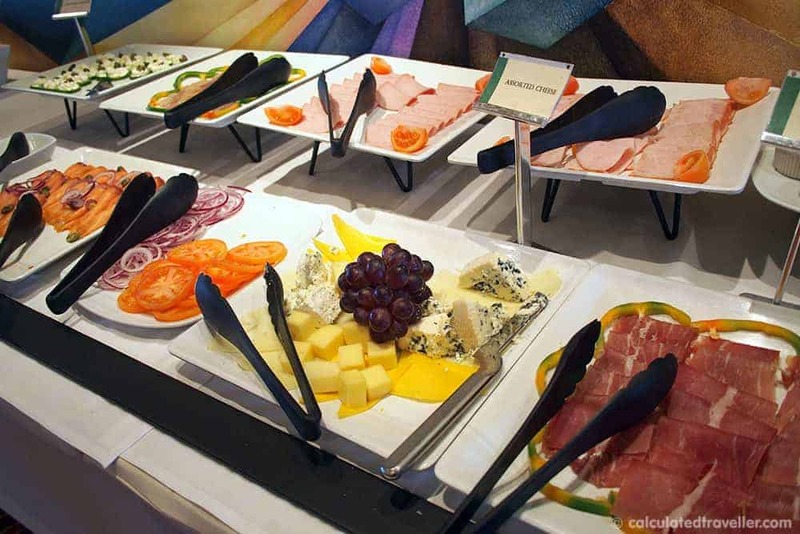 So, what should you eat at the breakfast buffet? 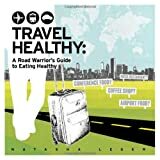 Trying to eat healthy when travelling is challenging but not impossible. If you use these tips, you will get off to a healthy, delicious and cheap start to your day! So, What did you eat for breakfast today?